This is the most common laser harp: The laser beams coming from the machine are free to run into space unless there is a ceiling blocking them! 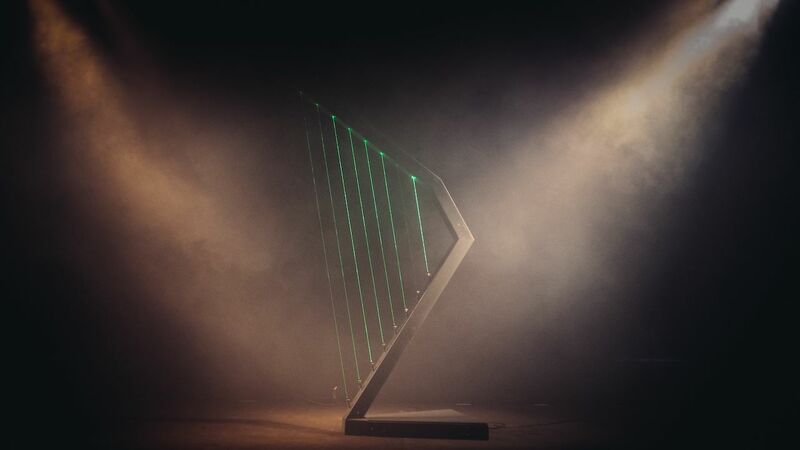 This harp is based on a sensor that catches the light reflected by the player's hand. Very stylish, but difficult to play. Each "string" is a separate laser diode (the frameledd uses a single beam scanned left-right, see how it works in Tech page). 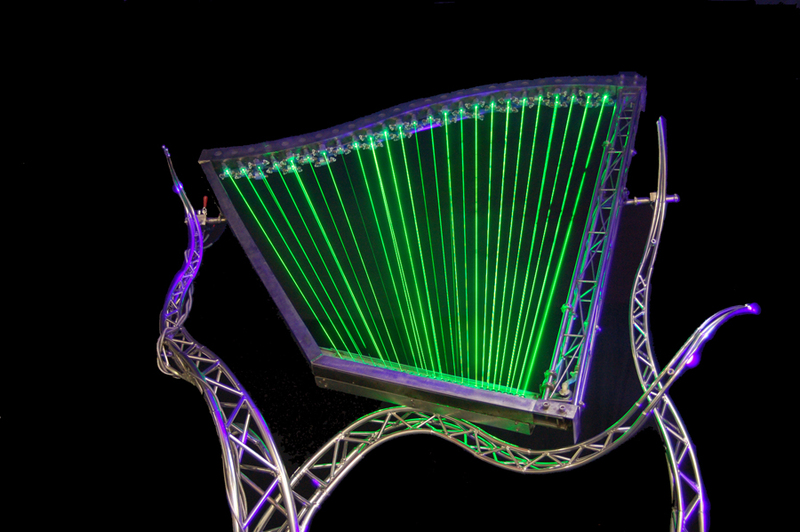 The upper part of the harp holds the sensors, one for each beam.